Our goal is to secure 1000 supporters at the $10+ level! 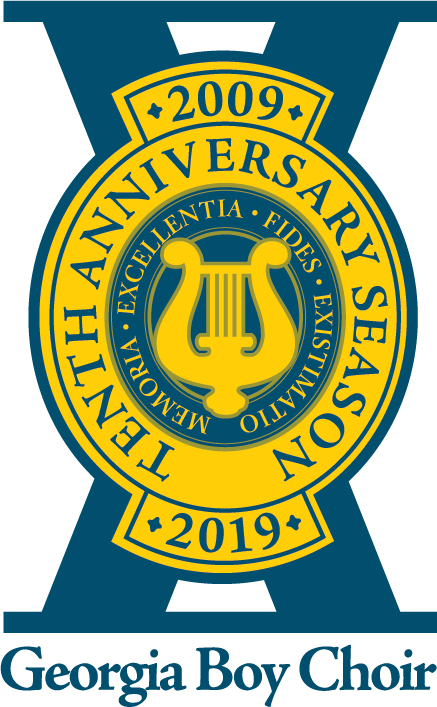 We are celebrating 10 years of the Georgia Boy Choir and your support will help secure another decade of excellence. 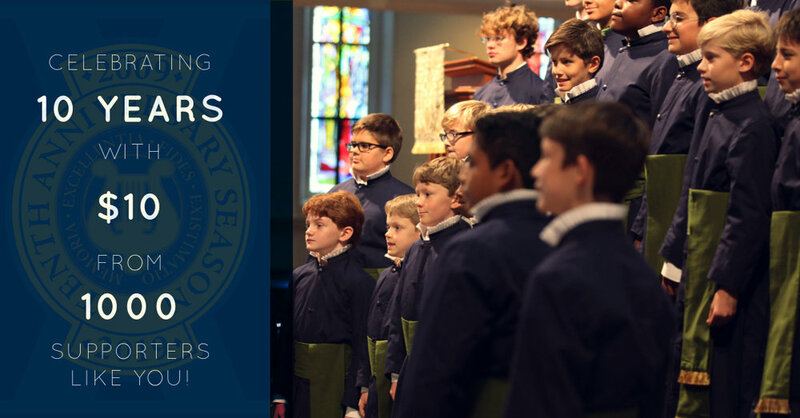 Throughout this Season, we will be reaching out to find 1000 donors to support the Choir and allow us to continue to fulfill our mission in the lives of our boys and for those who hear our music around the world. Set up a recurring donation at any level of your choosing, or make a one-time contribution to help us reach our goal! Now it’s time to #SHARE! You’ve become a supporter, now help us reach 999 more! Share this page to your social medias and spread the word!